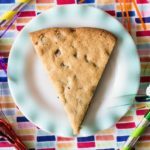 Chocolate Chip Cookie Cake Recipe - Easy, Quick, Delicious! Want to make one of those big cookie cakes like you’ve seen in the mall? 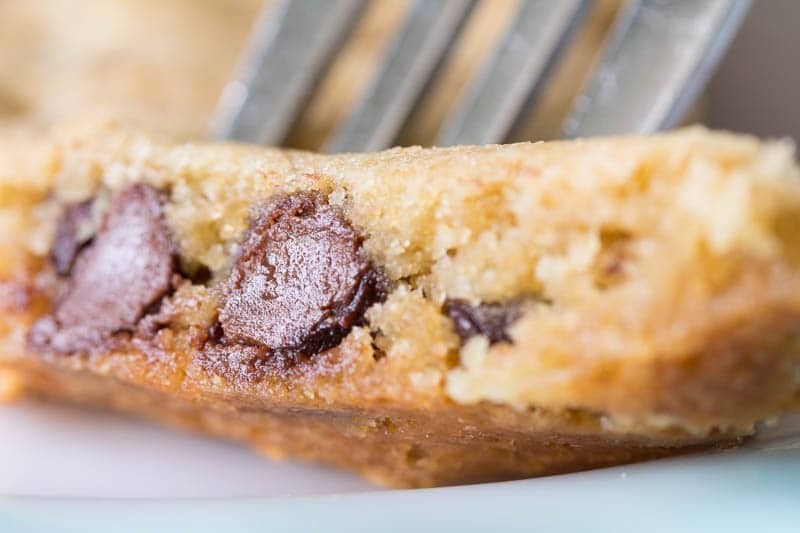 Here’s an easy and quick chocolate chip cookie cake recipe! You know you’ve admired them. Those tempting cookie cakes in brightly lit cases at the mall, each one lovingly swirled with frosted greetings and candy accents, are like the sirens of confection. Sure, you could pick one up at the store, but why do that when it’s so easy to make one at home? This three step recipe is remarkably easy, but everyone will think you’re a baking genius. It’s fun to be thought of as a baking genius. You get comments like, “I don’t know how you do it!” and “I wish I could bake like that!” to which you can respond with a mysterious Mona Lisa smile and a modest lowering of the eyelids. 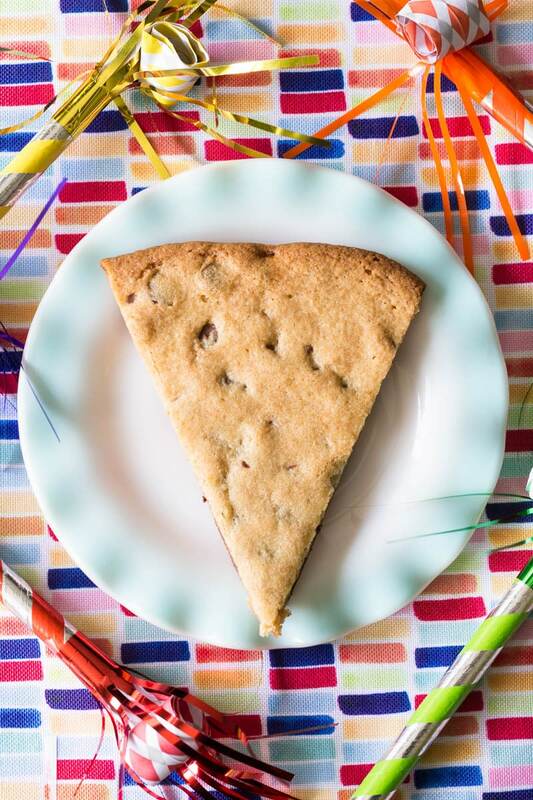 Whip up this chocolate chip cookie cake recipe for birthdays, graduations, or just any old time you feel like having some fun. 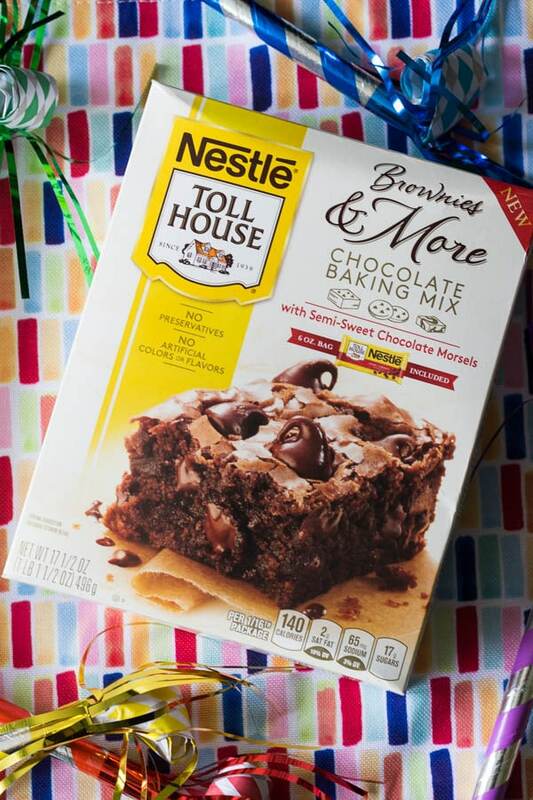 I’m using Nestle Toll House Baking Mix to make mine even easier to make. It’s a way to do your very best baking without exerting yourself too much. 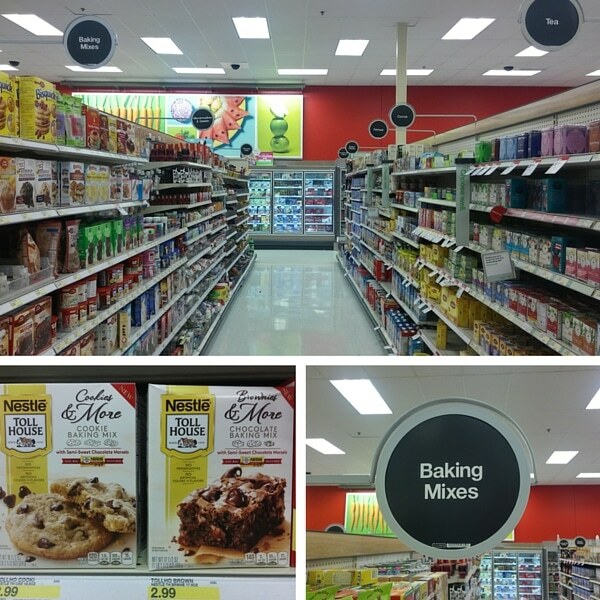 These new baking mixes come in four different varieties. 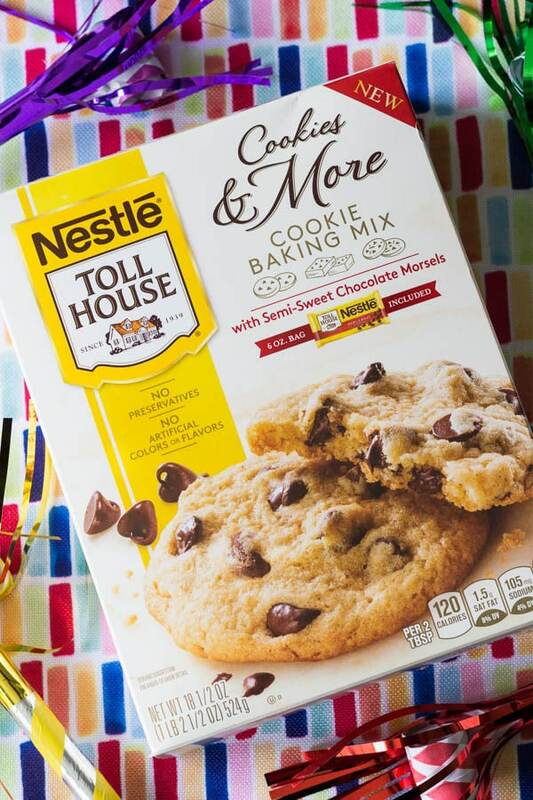 Since I’m making a classic chocolate chip cookie cake, I selected the NESTLÉ® TOLL HOUSE® Cookies & More Cookie Baking Mix with Semi-Sweet Chocolate Morsels. I picked mine up at Target in the baking aisle. You can use this Ibotta offer to save, too. These baking mixes are made with premium ingredients, have no artificial colors or flavors, and are versatile enough to use in many different types of recipes. Check out these baking ideas for inspiration. If you’re like me, you’ll enjoy putting your own special twist on a cookie cake, and you’ll feel very proud that you made it yourself! Make sure that you pat the dough out evenly, and not too thin. If it’s too thin, it will break up when you try to move it after cooling. Ovens vary in temperature, so turn on the oven light and look through the oven window every now and again to check your cookie cake’s progress. It is better to slightly overbake than to underbake. 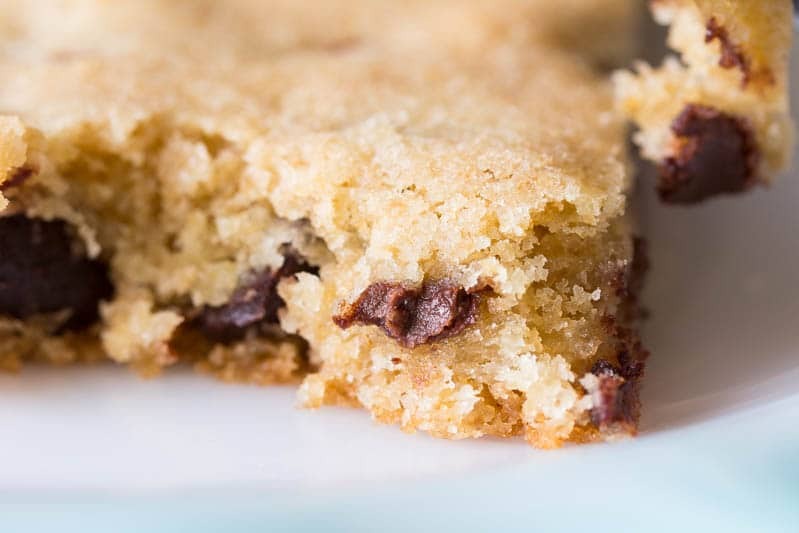 Slight overbaking might give you a crunchy edge, but underbaking is nearly impossible to fix once the cookie cake has started to cool. Get fancy! Have some frosting and colorful candies on hand to decorate your chocolate chip cookie cake once it cools. 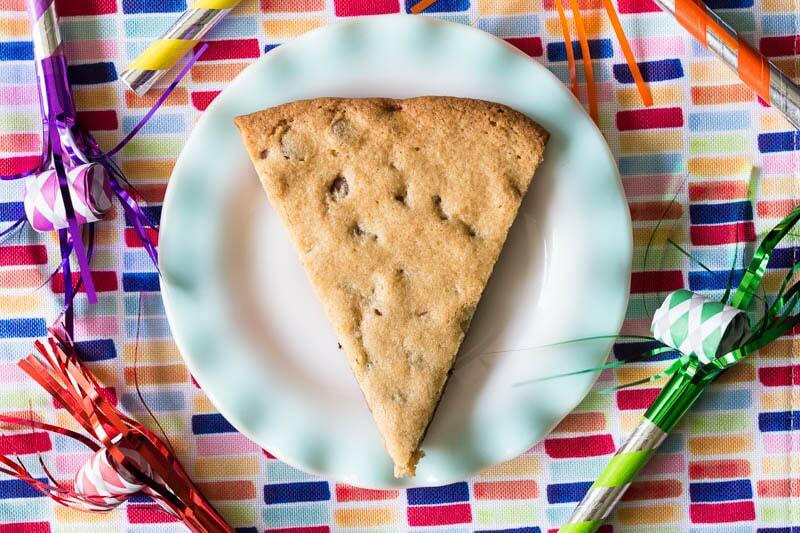 You can make a double-decker cookie cake by baking two of this chocolate chip cookie cake recipe. Once the cookie cakes are cool, spread or pipe frosting on one, then stack the other on top. Decorate as desired. This delicious treat will definitely help your sweet tooth! Preheat oven to 350 F. Using an electric mixer if possible, beat together the egg, water, and softened butter in a large mixing bowl. Add the mix a little at a time and continue to beat the mixture until the mix is used up. Stir in the chocolate morsels. Place the dough on a piece of parchment paper on a large baking sheet or pizza pan. Press or roll out the dough until an even circle is formed, about 9 to 10 inches across. Bake for 20 minutes or until golden brown on top. Let cool before serving or decorating. Ready to shop? Here’s where to find this product at Target in the baking aisle of the grocery section. Get more ideas for using Nestle Toll House Baking Mix, and pick up your Ibotta offer here! You can also follow Toll House on Twitter, Instagram, Facebook, Pinterest, and YouTube. Previous Post: « Easy Cheese Ball Recipe with Just Three Ingredients! That looks so delicious! My sister makes chocolate chip cookie cakes for her customers and they are always so fun to decorate and EAT. I’ll have to try making this on my own and without her help. It looks great! I love cookie cakes because there are so many ways you can decorate them for birthdays, parties and more. 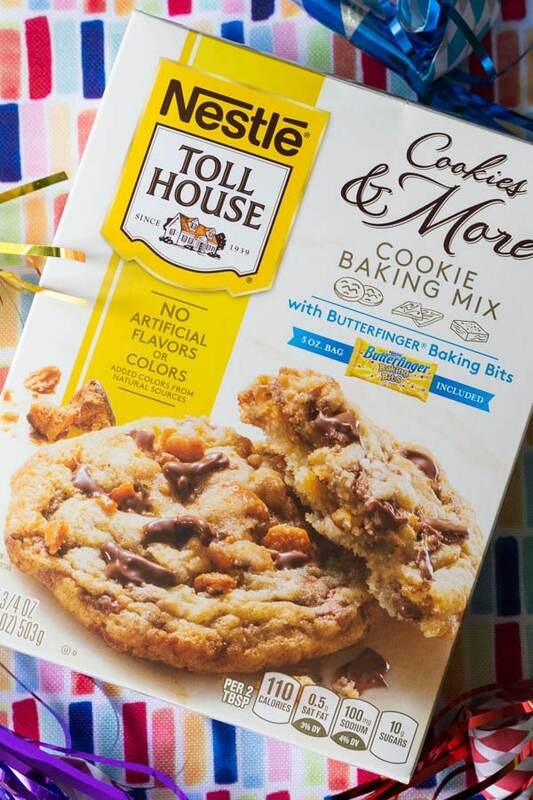 I am going to have to check out these Nestle Toll House Baking mixes because with the warmer weather, I get the desire to bake. I know my family would love volunteering to eat my creation. My son always asks for a cookie cake for his birthday. I skipped making one last year because the one I made the year before didn’t turn out quite right. These tips will help me make one for him this coming year. This a favorite for birthdays at our house. So happy to find a easy to make recipe so that I can to make one myself! Its always better when mom makes it! What a fun recipe to have for a party or bbq! We are having a summer bbq this weekend, I need to make a dessert – might need to do this. Looks super easy and like it would be a crowd pleaser!! Would you believe me if I told you I’ve never seen a chocolate chip cookie cake?!? I love this!! You could serve it as is with extra toppings and everyone could personalize their cookie! That looks yummy and tempting! I wish it’s easy to bake. My hubby would surely love this cake recipe for his birthday celebration. Thanks for the instruction. I can’t wait to try this! My kids love the cookie cakes, and it never dawned on me to just do it on my own. I’m curious, did you make the double layer? What would happen if I used two boxes to make it thicker? I didn’t make the double layer this time. 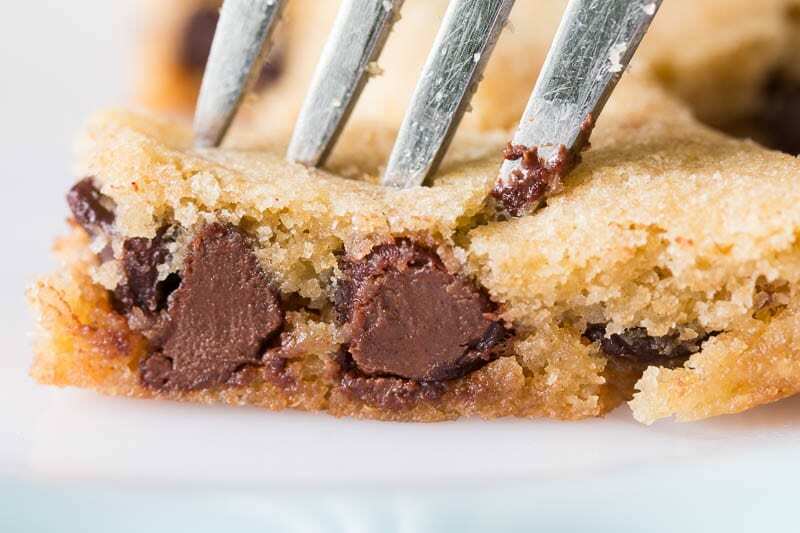 If you combined two boxes to make one thick cookie cake… well, you’d definitely have to bake it longer. I wouldn’t make it too thick, or it might not bake through all the way. There is just something about a large cookie that just makes it taste better. I’m a huge lover of Butterfinger, so I’m super excited to try that mix. You have me craving chocolate chip cookies so bad!